Intelligent agent-based systems are applied for many real-life difficult problem-solving tasks in domains like transport and healthcare. In the case of many classes of real-life difficult problems, it is important to make an efficient selection of the computing systems that are able to solve the problems very intelligently. 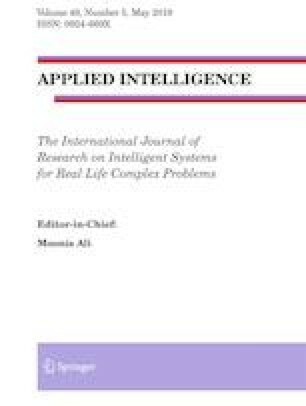 The selection of the appropriate computing systems should be based on an intelligence metric that is able to measure the systems intelligence for real-life problem solving. In this paper, we propose a novel universal metric called MeasApplInt able to measure and compare the real-life problem solving machine intelligence of cooperative multiagent systems (CMASs). Based on their measured intelligence levels, two studied CMASs can be classified to the same or to different classes of intelligence. MeasApplInt is compared with a recent state-of-the-art metric called MetrIntPair. The comparison was based on the same principle of difficult problem-solving intelligence and the same pairwise/matched problem-solving intelligence evaluations. Our analysis shows that the main advantage of MeasApplInt versus the compared metric, is its robustness. For evaluation purposes, we performed an illustrative case study considering two CMASs composed of simple reactive agents providing problem-solving intelligence at the systems’ level. The two CMASs have been designed for solving an NP-hard problem with many applications in the standard, modified and generalized formulation. The conclusion of the case study, using the MeasApplInt metric, is that the studied CMASs have the same real-life problems solving intelligence level. An additional experimental evaluation of the proposed metric is attached as an Appendix. The online version of this article ( https://doi.org/10.1007/s10489-019-01440-5) contains supplementary material, which is available to authorized users. This work has been funded by the CHIST-ERA programme supported by the Future and Emerging Technologies (FET) programme of the European Union through the ERA-NET funding scheme under the grant agreements, title SOON - Social Network of Machines.